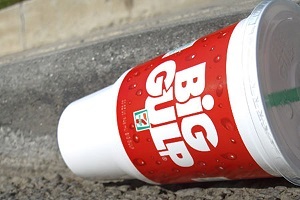 When nanny-state bureaucrats try to tell you what you can eat or how much, it takes fully engaged courts to keep them in line—like the appellate judges who struck down New York City’s soda ban this Tuesday. Unfortunately, New York City is not alone in meddling with people’s dietary habits. On the contrary, busybodies from all levels of government are out there enforcing a mindboggling array of arbitrary and anticompetitive food laws. I don't know why if feel this way on this issue but I could care less. As far as i'm concerned they aren't telling you how much to eat....they are telling you to purchase two cups.....lets put it into perspective.....the same way they tell you to not speed on roads......they are asking you-do you really need that many calories. I know for such a non-government interventionist its a surprising reaction from me as i'm hands off in so many other areas but this.......screw it I have two hands to carry two cups if I want it.